We will dispose of any residential junk, be it old electrical appliances or a garage full of old unwanted stuff. Our services extend from yard cleanups to indoor clutter and taking out the trash. If there is anything you would like to have removed from residential premises, we will happily handle that. We also take care of reusable stuff. 60 percent of the junk we remove from residences gets donated or recycled so that you do not have to worry about the wrong things being dumped in landfills. Commercial services cover a wide range of items. It could be office equipment that is no longer useful or just getting in the way, or clearing up a rental property after a tenant has moved out, cleaning up construction sites when all the construction is done, preparing a home for sale and so much more. Our junk removal Maplewood MN service is designed to relieve you of the stress of handling junk and clutter at your commercial site. You can set the ball rolling by giving us a call and letting us know your needs. We shall set up an appointment to meet you at the site. On the agreed date and time, our team will show up and you can show them what needs to be done and they will provide an estimate and give you a price that we believe is unmatched. Once we agree on the price, our team will come in with the required equipment and clear up the site with no need for you to get involved. Payment will be made once all the junk is loaded onto the truck. Our accepted methods of payment are flexible including cash, check or credit card. For us, it doesn’t end with loading a truck and heading to the landfill, we sort the junk and identify items that can be donated or recycled. We do junk removal responsibly and in an eco-friendly way! Our junk removal service Maplewood MN can handle any task, you do not have to lift a finger, even if you want to get rid of an old washing machine that is still plugged in, we will come and do all the work, you just have to point us in the direction of the item. We will come and remove furniture from the basement or from the top floor of your commercial building. When we remove something that you no longer use but can still be used by others, we will not just dump it in the landfill. We go ahead and donate it to the local centers where they can be placed in a new home. Other items can also be recycled to ensure we are not harming our environment. 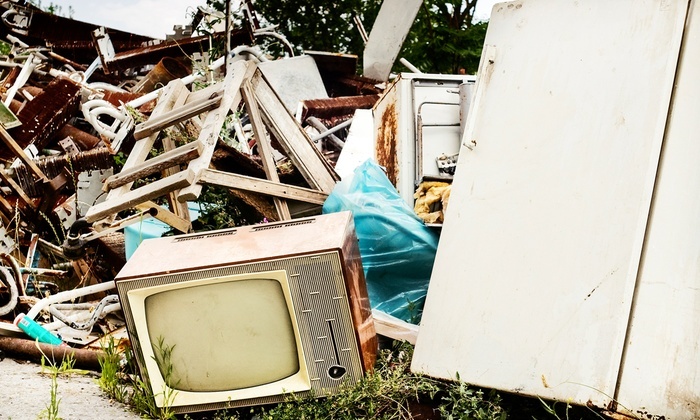 We encourage you to give us a call or visit our website where you can schedule a site visit and we will come over to estimate what it will cost you to have the junk removed from your residence or commercial premises. We guarantee you cheap junk removal Maplewood service with efficiency and convenience at the helm of our services.